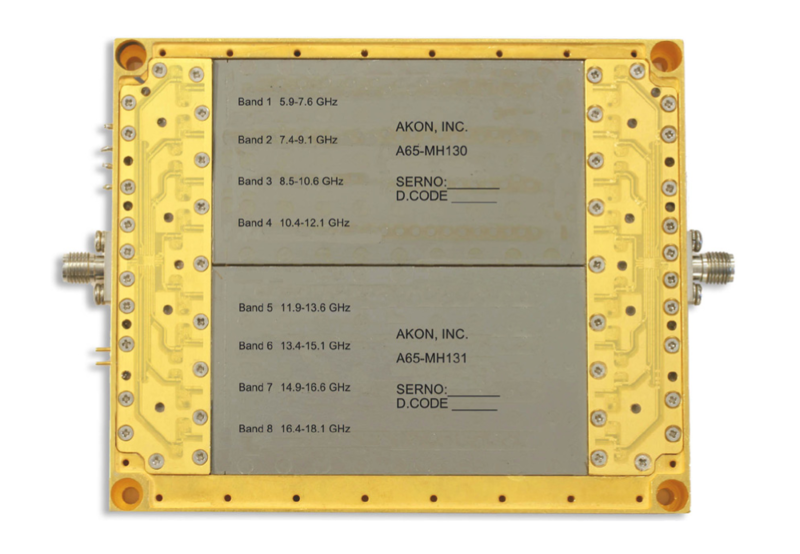 AKON produces miniature filterbanks and switch filter banks in the 2.0 - 18.0GHz range. Filters, amplifiers, attenuators,and equalizers are put together using MMIC techniques. Filter designs vary from lumped element to cavity or suspended substratetype, depending upon the requirements. 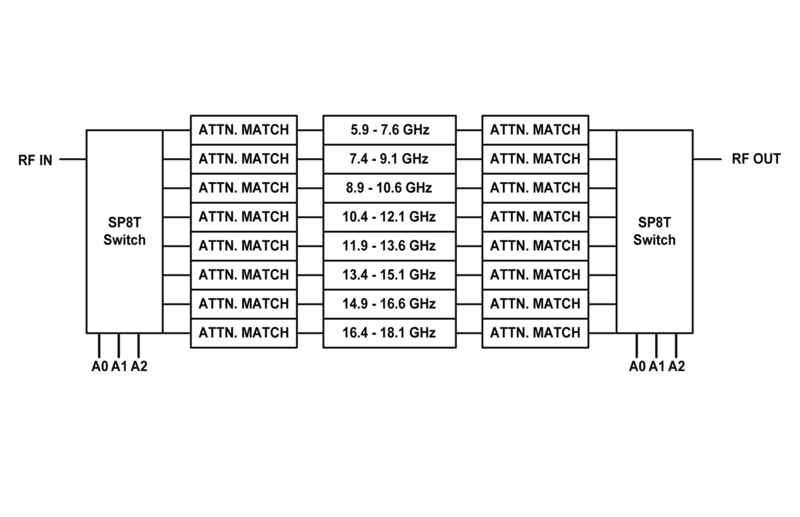 Switches are taken from AKON’s comprehensive product line of RF/microwave solid-state switches incorporating both PIN-diode and MMIC switching technologies. Multiple switches in a common package are phase and gain matched. AKON’s switch speed is typically 50 nS or less, amongst the lowest loss in the industry. The units can be tailored for specific customer requirements.